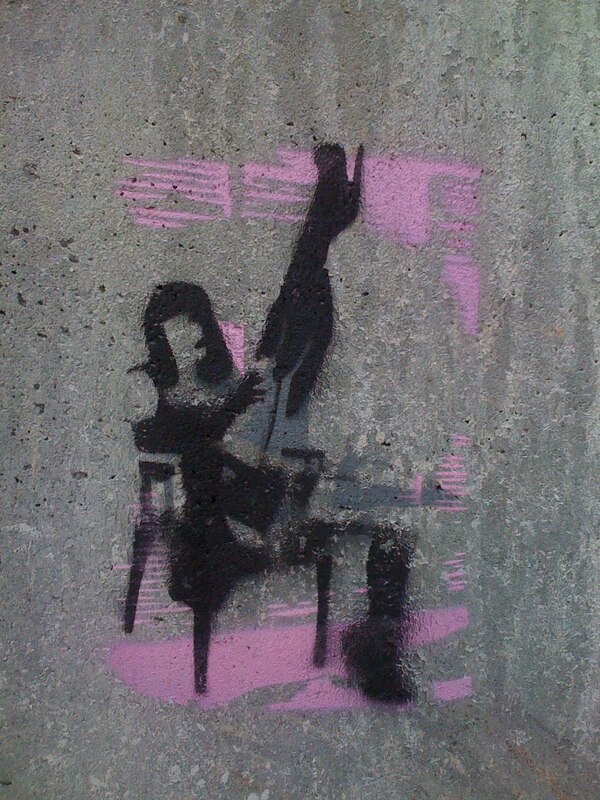 The dancer in this stencil appears to be a three-legged prostitute. Am I seeing things? Probably means she could charge more for lap dances and coitus. The pink shadowing adds a nice contrast to the darkness in the foreground. Makes me feel dirty. Makes me wanna carry a towel around.